So, to recap: If you spend a few hours on Saturday or Sunday cooking meals for the coming week, you’ll save time, money, and calories. I don’t see how you can lose! The real issue with cooking a whole mess of food ahead of time is ironing out the logistics so you end up with a balanced set of meals without dirtying every dish in your kitchen. Now that I’m working full time, teaching an evening lab, posting on behalf of The Little Red Kitchen, and desperately trying to make enough inventory for an upcoming craft fair (whew! ), Jay and I HAVE to cook every weekend. I’ve decided to put together an abbreviated version of what I do to prep a couple of meals (simultaneously), and what meals I rely on to maximize nutrition and flavor with the least amount of effort (and dirty dishes). Hopefully this will be helpful to some of you! If you’d like more detail about anything (or what a step-by-step process of my Sunday afternoon in the future, let me know in the comments)! Always start with a clean kitchen. Having all of your peeling, slicing, chopping, roasting, and sautéing tools ready to go will make this process much smoother. 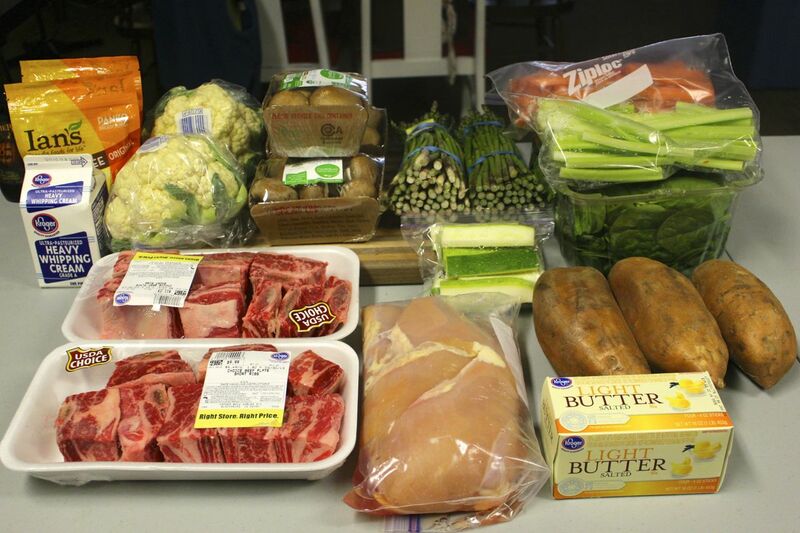 Lay out all of the ingredients you plan on using, and mentally plan your meals. Jay and I like to think of larger dishes that will feed us over multiple lunches and dinners, but that are also cooked in only 1-2 pans. Some of our favorites are Mushroom Stuffed Chicken Breast (when we’re feeling a little decadent), and Spaghetti Squash Lasagna…which is why they’re up on the blog these days! We also really enjoy Curried Chickpeas with Swiss Chard. Although I (sadly!) haven’t gotten a chance to try it yet, friends have said that Lauren’s Chicken Stew with Herbed Dumplings is fantastic, and will also last the better part of a week’s worth of meals. Prep the vegetables. You can see here that I’ve already washed, peeled (some), and sliced up carrots, zucchini, and celery. 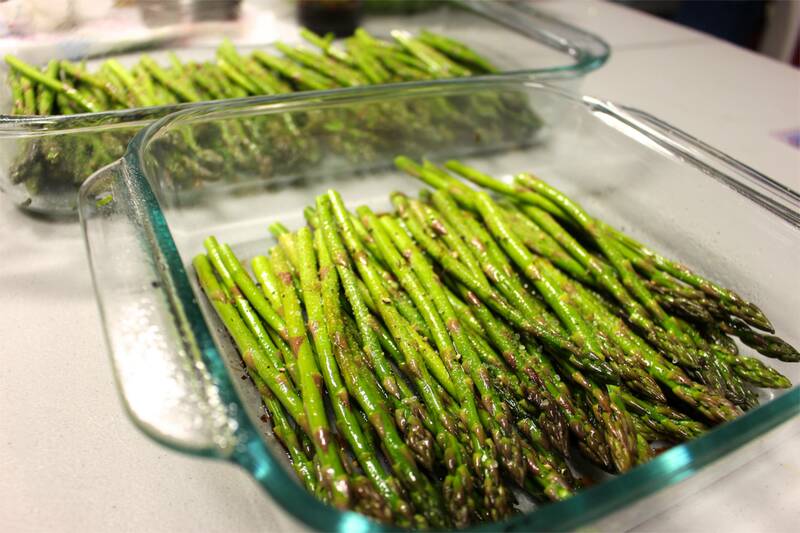 If we need snacks or want to steam up some really fast, fresh vegetables during the week, we can reach for pre-prepped ones in the fridge. 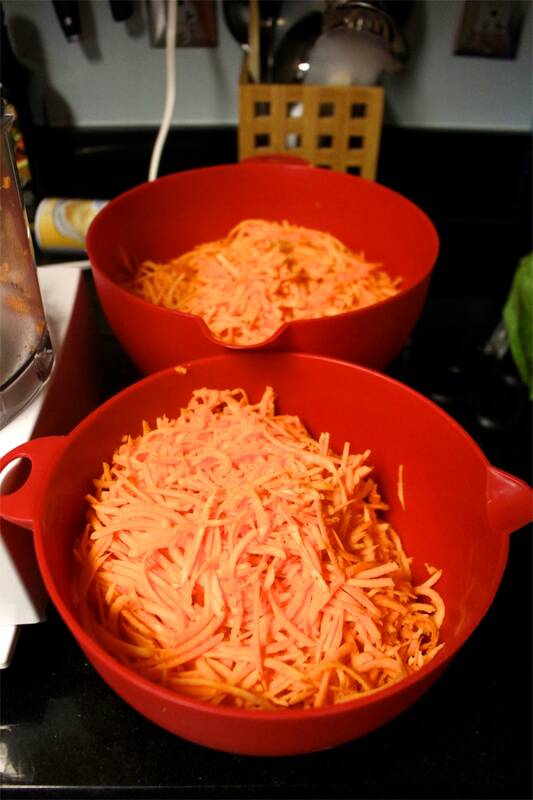 Peel and shred sweet potatoes, either with a wide-toothed cheese grater or food processor. Saute in your favorite fat of choice (olive oil, butter, ghee, coconut oil) and add your favorite spices. I love a combination of Penzey’s Sunny Paris Seasoning, freshly ground black pepper, and kosher salt. 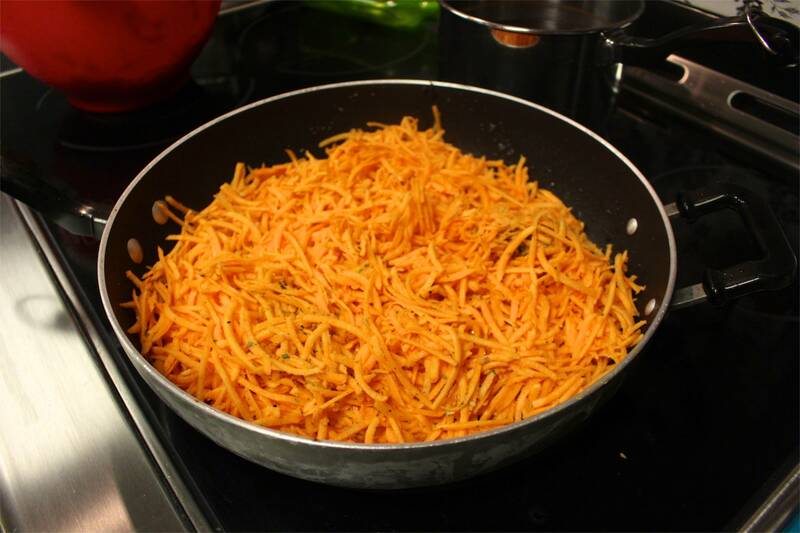 You’ll know the potatoes are done when they’ve changed in color from bright to dull orange. I like mine soft, and usually don’t worry about getting a crispy underside, but you can if you like! 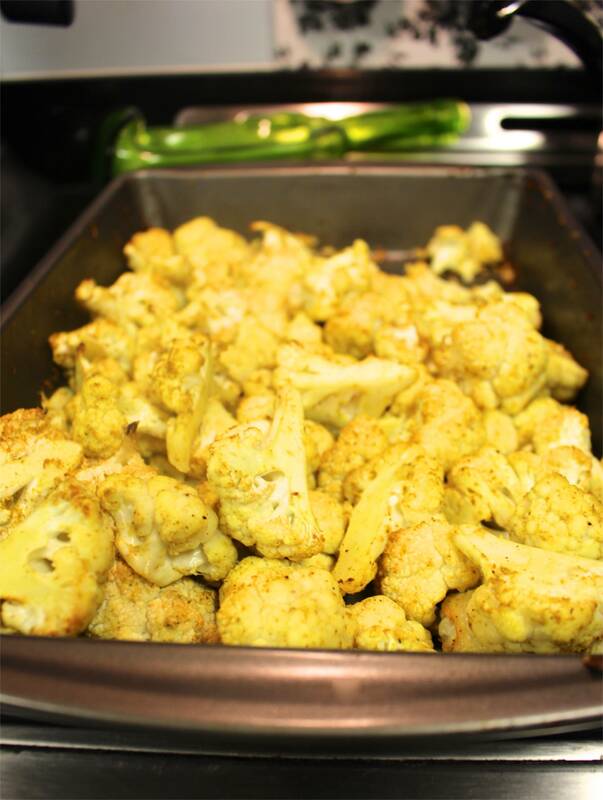 …or some “cheesy” curried cauliflower lightly tossed with butter, yellow curry powder, and nutritional yeast (roast at 350˚F for 40-50 minutes). Prepare your larger dishes and refrigerate/ freeze (we cooked a bit less this week because we have an extra spaghetti squash lasagna in the freezer from last weekend). 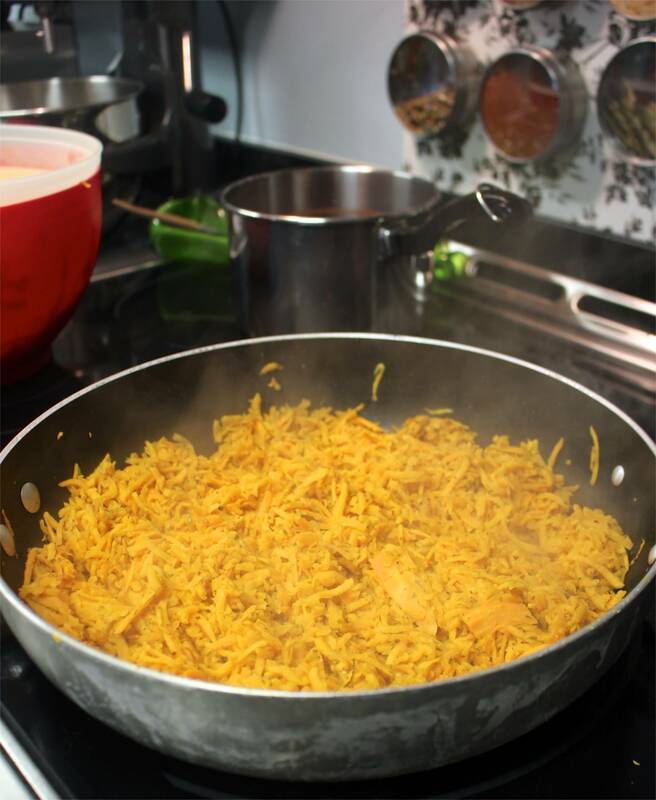 Make up any (easy) sides, like Jay’s favorite: basmati rice, which add volume and much needed (for Jay) carbs to any meal. – Calculate how much protein you’ll need for each person in your household (ex. 4-6oz/ 8-12oz per meal) for the week, and shape your recipes around that. 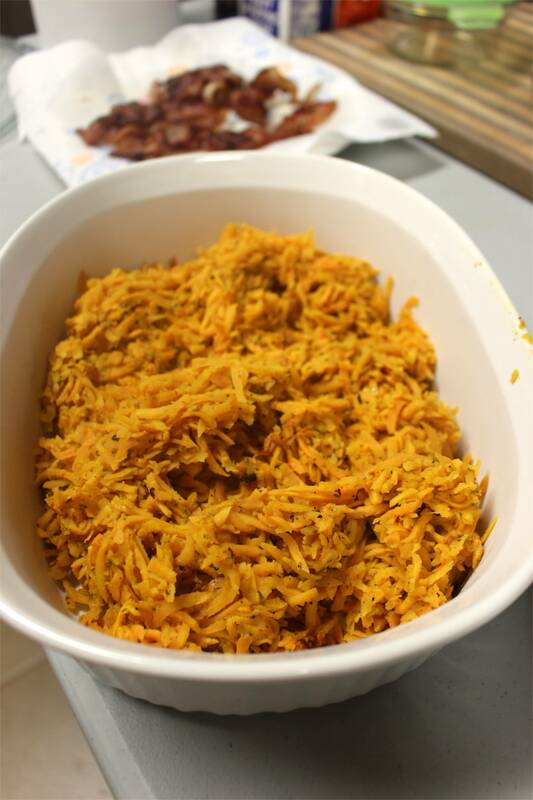 – Cook up versatile sides that can be used in a variety of dishes (sweet potato hash has been a staple because this savory version is flexible in terms of flavor). – Make up staple vegetables (you should be having 1-2 full cups of vegetables with every meal, anyway) in large quantities. – Set aside snacks for yourself (sliced vegetables, hummus, olives, etc.) so you have something to reach for aside from that Halloween candy. – Keep easy-to-cook vegetables on hand, just in case. We always have a huge spinach container in our fridge because it cooks up in 5 minutes or so. Do you then reheat everything in a microwave? I do not usually prepare my veg in advance but try to make a big crockpot of something (chilli this week :)) and then add fresh veg/rice on the day.